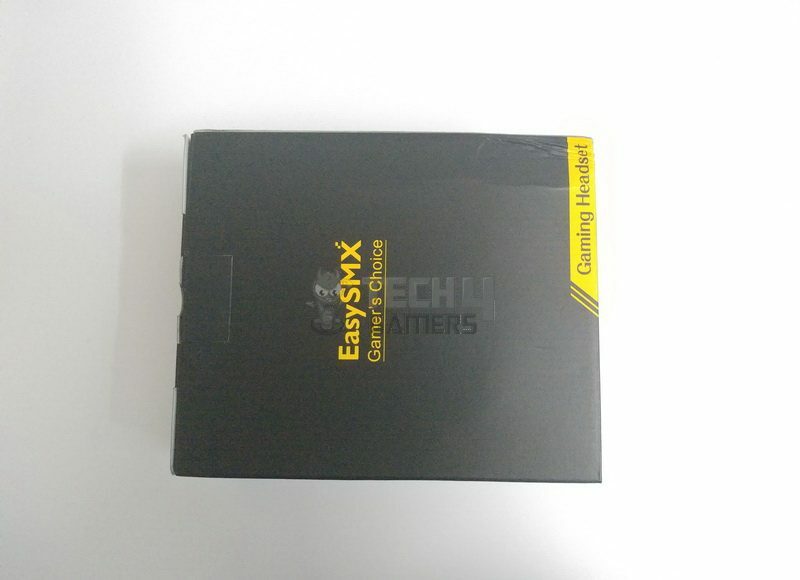 EasySMX Network Technology is an innovative technology company established in 2012. They are headquartered in Shenzhen, a fast-growing high tech city of China. 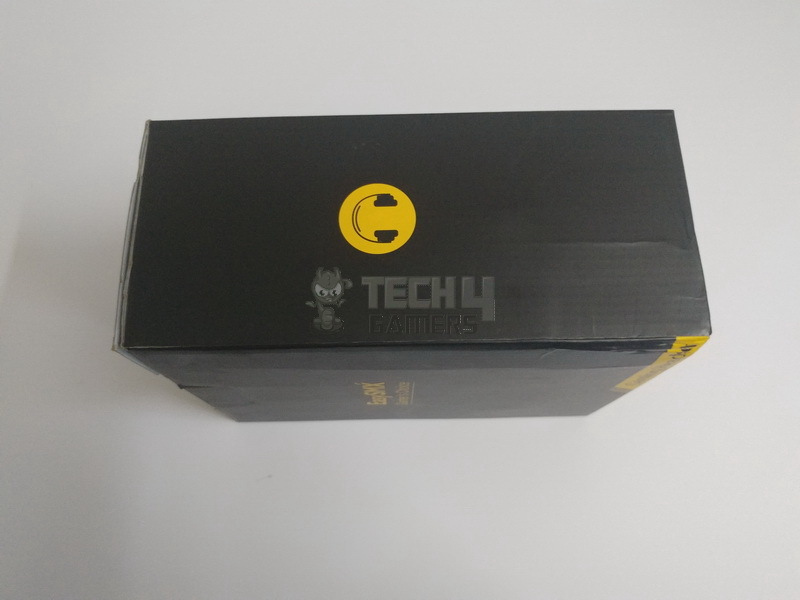 As from 2014, they started to focus on gaming peripherals and accessories with an ambition of selling high-quality gaming accessories every gamer can afford and rely on. 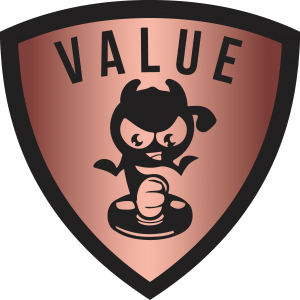 Their products have been selling on Amazon in U.S. UK, Germany, France, Spain, Italy and Japan and get high appraisal from customers. 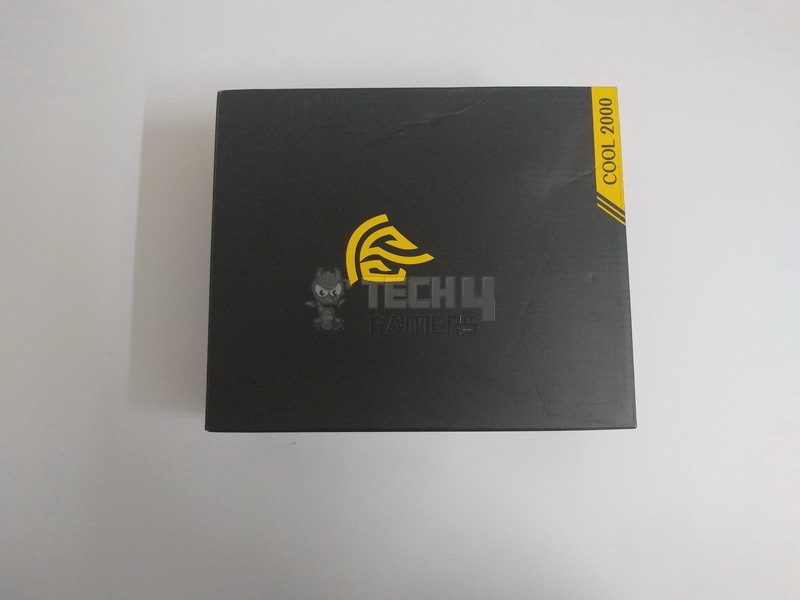 The Cool 2000 comes inside a decent black colored box made of cardboard. 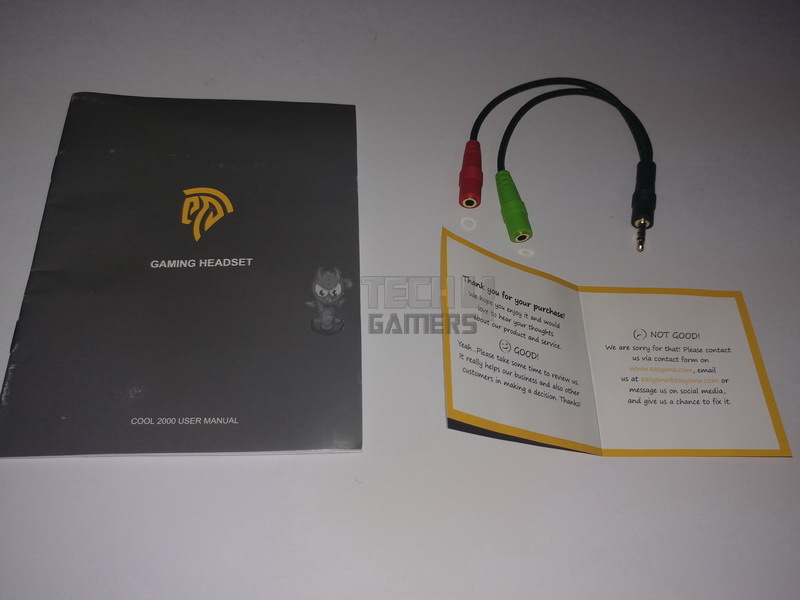 The headset has simply kept inside covering cable and accessories beneath it. There is no exception that EasySMX has a mission and impression to provide cost-effective products. But they haven’t compromised over build quality. 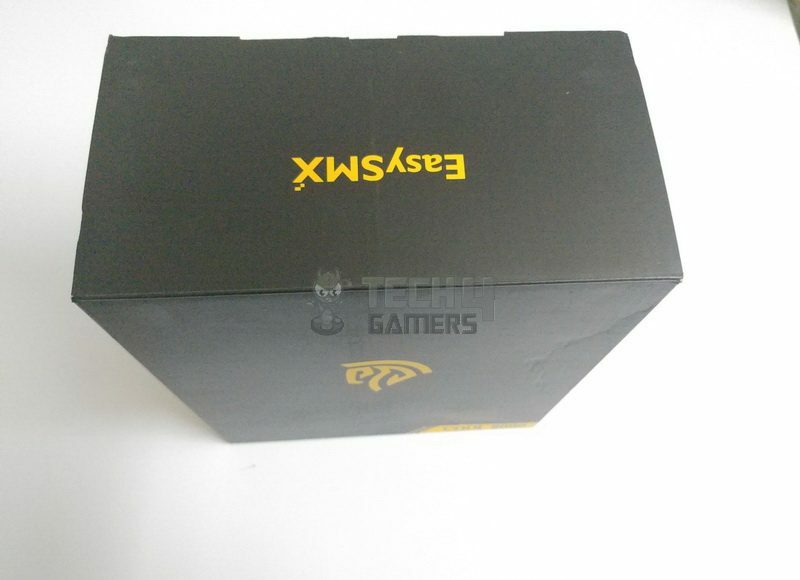 The Cool 2000 headset’s design looks like a black matte finished wheel/rim with all its edges and curves perfectly blended with the design, but it is actually made of plastic with a silver colored piece carrying a printed EasySMX logo (A horse head). Inside the wheel/rim there is a mesh covering the actual blue light base. 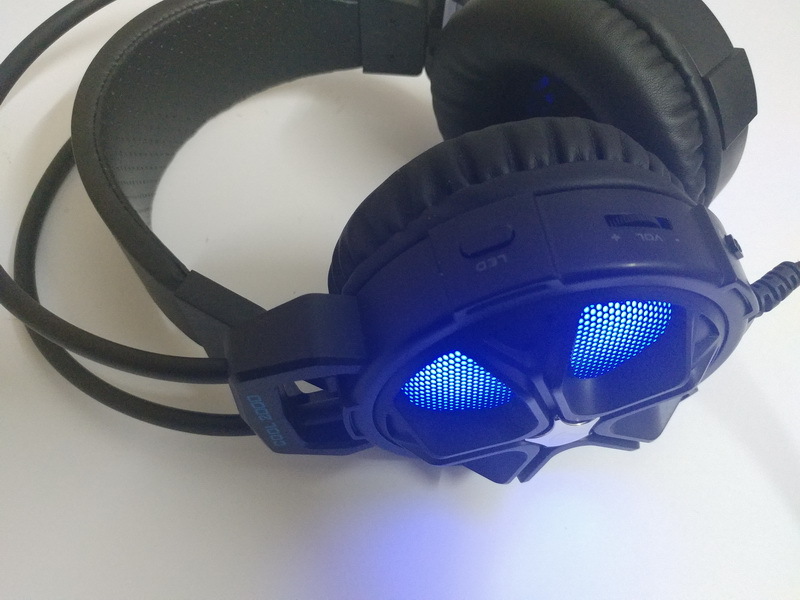 The blue base illuminates with different patterns if the LED cable is attached to any USB port on your device There are buttons over the back side of the left earpiece. These buttons include the Volume dial, Mic switch, Light patterns button. The light base is made of blue-tinted transparent plastic. The hinges, pipe arms, and holders are all firmly attached providing no grinding noise over stretching and compression while wearing or by any manual means. For a comfortable ear intact, there are two comfy earcups covered inside black padding. For a comfortable head adjustment, there is a flexible headband which cuts the strain to let user acquire the comfort there should be. 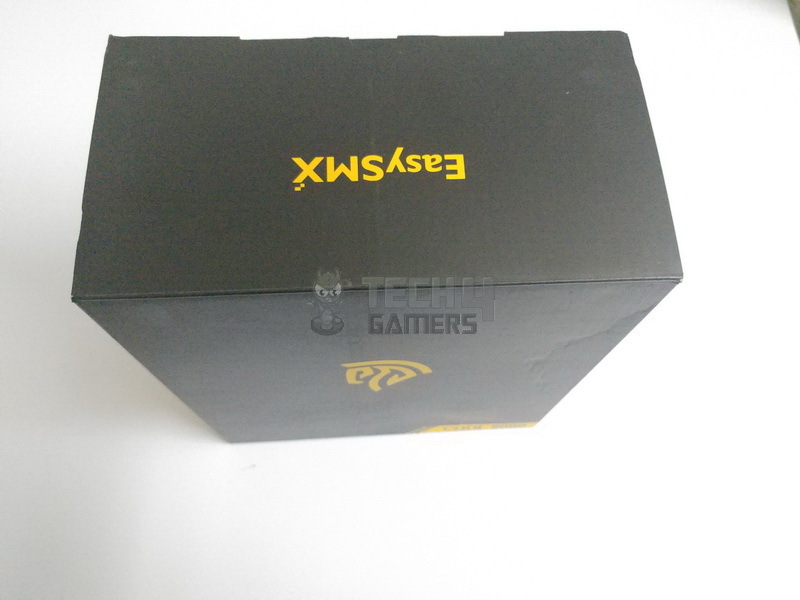 The headpiece contains foam covered in padding having EasySMX wide logo blended on it. The mic is non-removable, means it would always be outside and prominent. 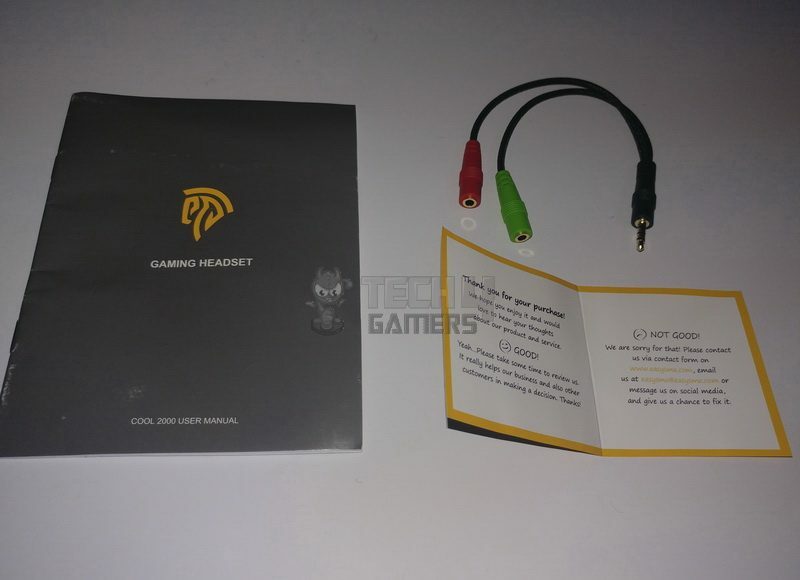 The Mic piece has a flexible stem and a light spot on its tip which only illuminates when the mic switch is turned On and the LED cable is attached to any USB port on your device. 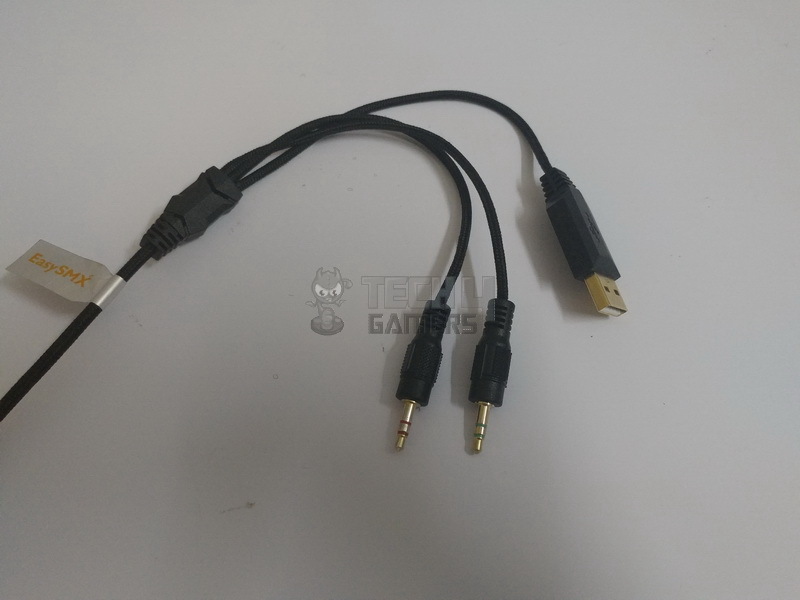 The cable is non-removable and fabric coated. There are 3 connectors by default for connectivity and functionality. 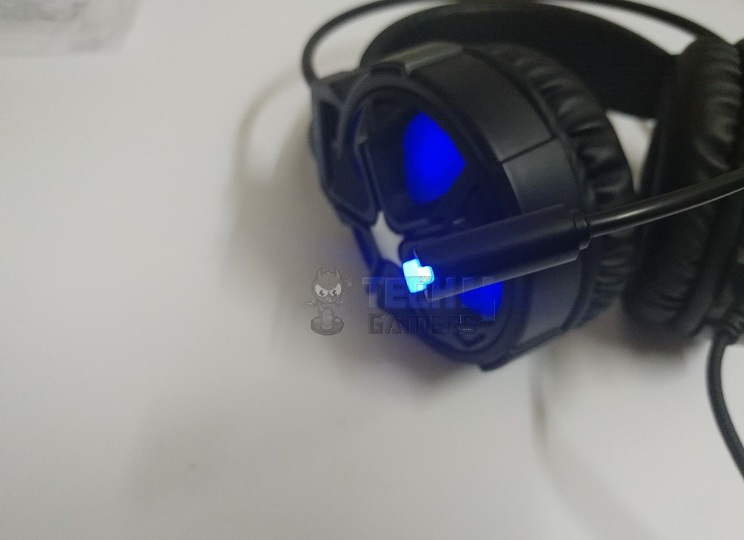 One Green (3.5mm voice out), one Red (3.5mm mic in) and one USB cable to power up the blue lights all over the headphones. Well, comparing specifications should rather be audible addressing the quality an ear is listening to directly from the headset. 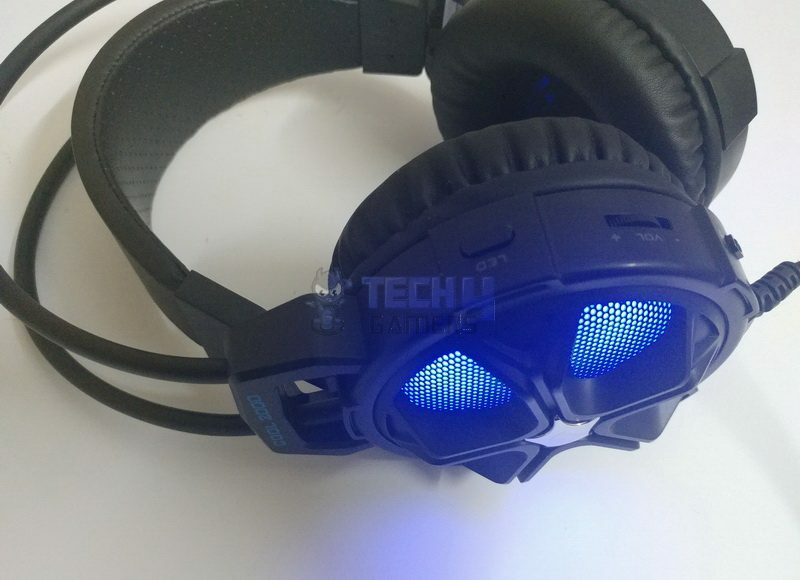 The bass quality is just fair enough to create a tremor-less outburst to ears, unlike enthusiastic headphones which are made for bass enhancement. 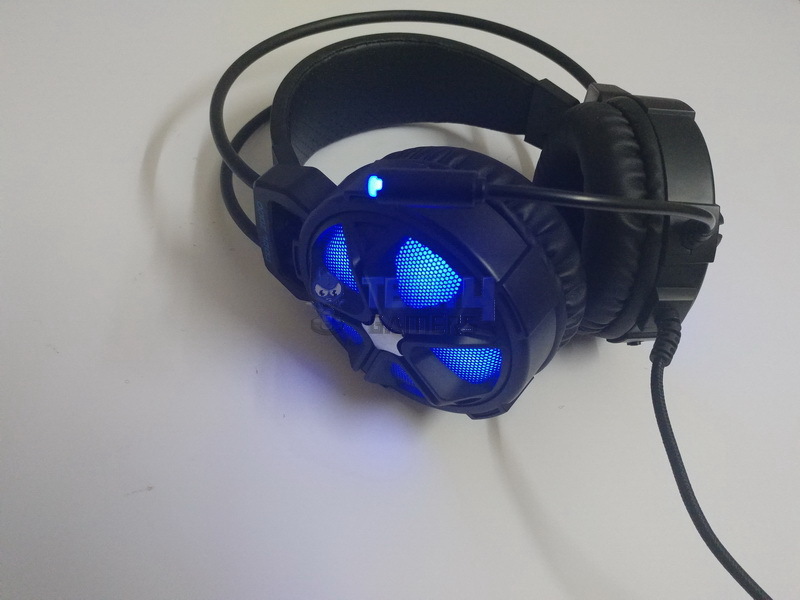 The treble quality is good enough to hear sound at a higher extent. Vocals are just clear as they should be for fine listening. The mic is quite adequate besides from its flashy tip! . 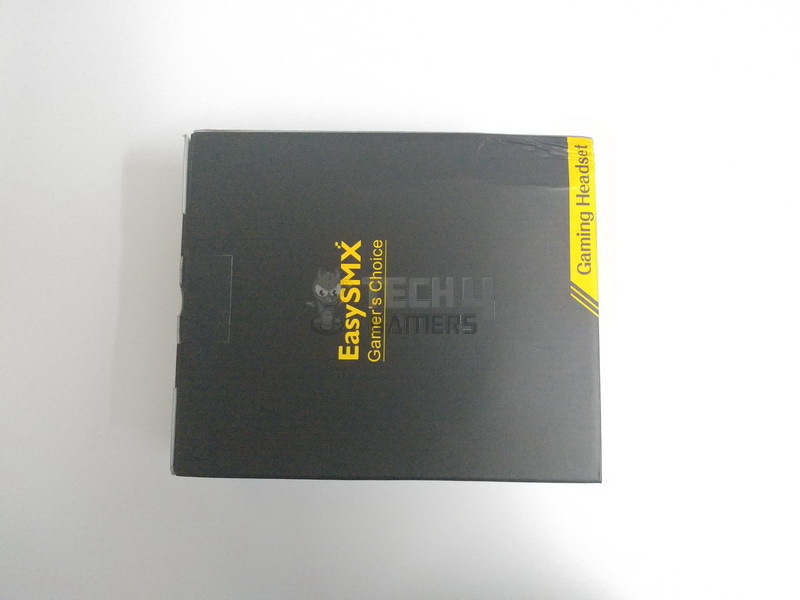 As you can observe from the demo speech below recorded directly from EasySMX Cool 2000 headset. 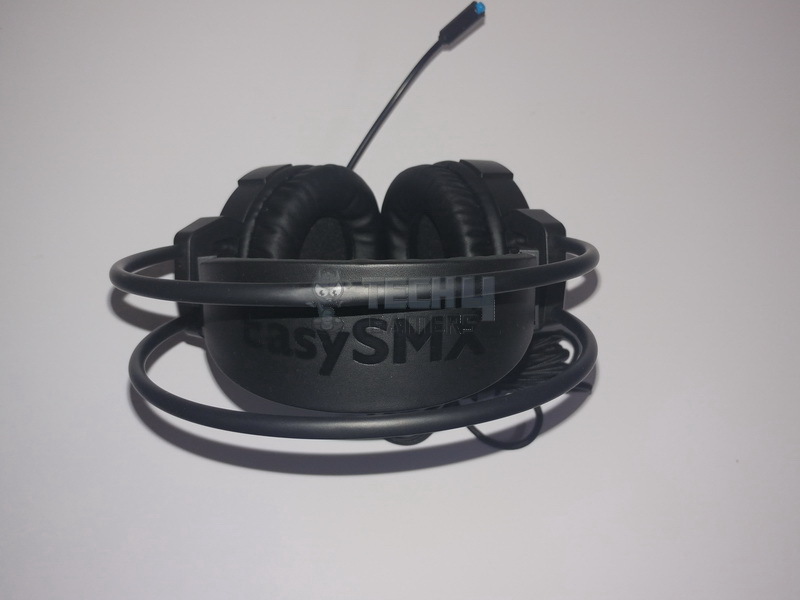 The EasySMX Cool 2000 is seemingly an enthusiastic headset though but putting it on and experiencing it was so much questionable for its performance we observed at a personal level. 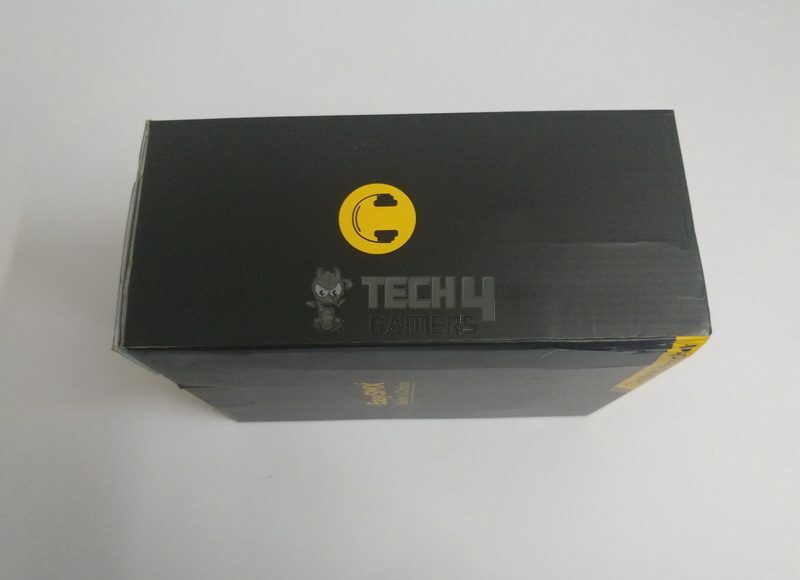 Prior to its design, it was expected to keep up the excitement to a good user experience too but it’s not that promising as compared to its fluent build quality and high-end design. It is worth noting that besides its flawless design and build quality there is still a hitch of illuminating lights is that you need a USB port in order to make it illuminated at its full glory. 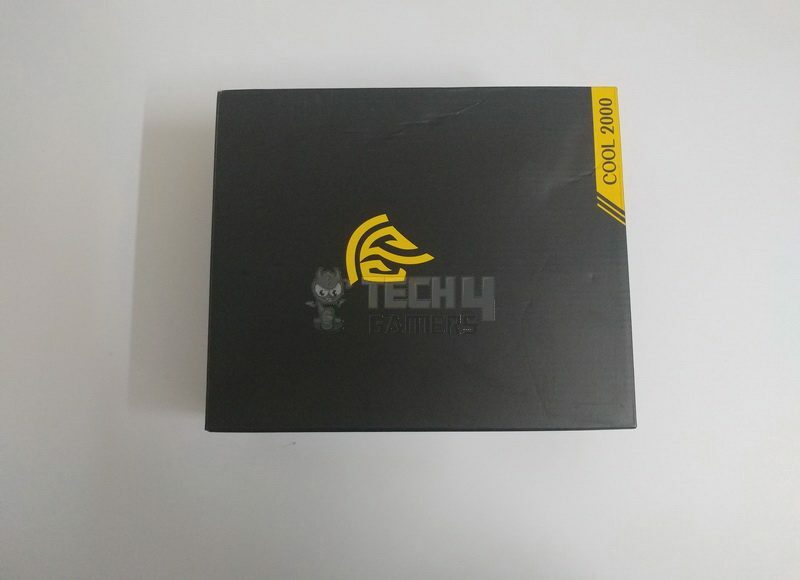 Sound quality is not that promising as it’s design and build quality.